Dr. Richardson talks about inter-professional education on the WSU Spokane campus. Doctors, pharmacists, nurses and other health professionals that are trained on our campus are tasked with working with others once they enter the working world. But those health professionals aren’t always trained that way when they’re completing their education. At WSU Spokane, we’re providing programming to help students in all programs learn about each other and learn to work with each other. Dr. McDonell discusses the research and innovative work of IREACH, including his research on how rewards can help treat alcohol abuse in those with mental illnesses. 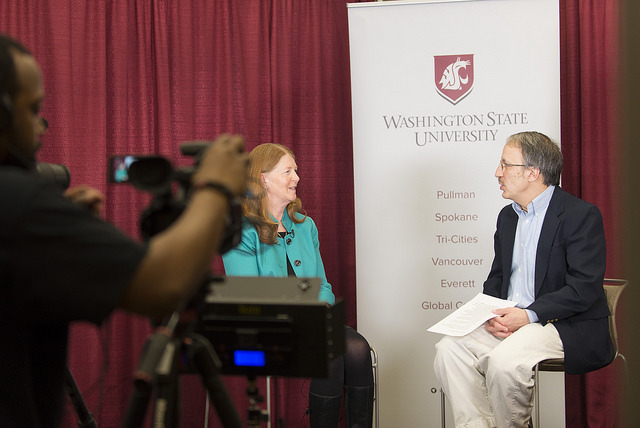 Both episodes can be seen on WSU Health Sciences TV – Comcast channel 16 in the greater Spokane area.